If you know me then you know when I like something I REALLY like something almost to the point of overdosing on it. What’s that saying? You can never have too much of a good thing. Well I completely agree! 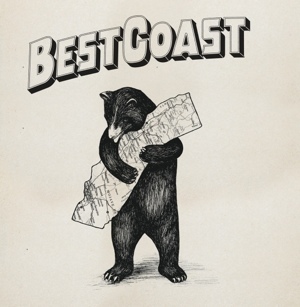 Lately I cannot stop listening to this band called Best Coast. (for your investigating pleasure…. www.bestcoast.us) I don’t know what it is, the simple melodies, the singers soothing vocals, or just the memories that their music provokes, but I LOVE it. It has an endless summer feel, which is only fitting for California. I have found myself tuning my pandora and spotify to a channel that reflects the music of Best Coast and I have been pleasantly surprised by the selection that I have received. All of their lyrics seems to resonate deep within me, and they bring back memories of such good summer adventures as well as those that were experienced in other seasons. In California we are blessed with many days where the beach is an acceptable place to be. If you are stuck in the office or in traffic or even inside on a rainy day I suggest turning their tunes on it will definitley brighten your day.